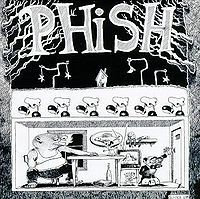 Phish played this show at the conclusion of “Earth Week.” This gig featured the only known performance of Punch Me in the Eye and the first known performance of Who Do? We Do! This show, at UVM, was part of UVM's Earth Week and it sounds like there were a whole handful of people at the show to see the band. The venue, actually the Billings student Center at UVM, had just been renovated in 1986 and it was the band's first time at the new venue. I'm not sure if the show was advertised, but there seems to be a group of the band's friends in attendance and more people than at their other gigs at the beginning of the year thus far. A standard Golgi opens the show. AC/DC follows and a fast-paced jam ensues, at this point one of the longer ventures of the song, and the band morphs into Possum. Possum contains inspired soloing by Trey and interesting effects by Page. Fluffhead is strong and contains the typical to 87 Fluff's Travels x2 and screaming conclusion. An interesting YEM is next, and Fish is still trying to figure out how to approach the song, which makes it, at times, choppy. Overall though, the version is decent, with jams led by each member and DEG teases by Page which leads into a screaming vocal jam over top of DEG. The band then moves into DEG proper which is quite strong. 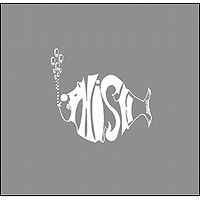 Punch Me In the Eye, probably the strangest song in Phish's entire catalog, played just once ever, is next. The song history for this song does a good job trying to explain this song, but really, it must be heard. First of all, Trey sings falsetto to an airy series of chords about 'Killing you till you're dead, punch you in the head'. 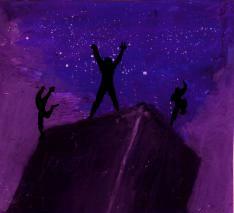 After some dissonant changes, an angry verse is sung, and then a Avenu Malkenu jam with Mike playing occurs. From there, the band moves into what will soon become the pre-silent part of Divided Sky (you know, the ascending chords part). This is, probably, the best part of the song, so it's no surprise that the band tears it out of the song and puts it elsewhere. Then, after some weird transitions, the band plays a rollicking 50's era rock/boogie series of chords with Trey in falsetto and Mike singing do-wop. I think there's definitely a reason why they shelved this immediately. It is just SO weird. I can't believe the audience claps afterwards, honestly. After a typical Alumni Blues, Mike introduces 'Matt' a friend of the band, asks Paul to check the audio levels, and Trey introduces Hydrogen which is "what you learn when you go to Goddard College". Hydrogen at this point contains the familiar Hydrogen that we all know, along with a beautiful ascending jam that seemed to end in late 1987. A movement into Who Do? We Do? follows and it is the first time the band plays it, and they do a pretty good job, albeit with much slower transitions than we hear today. Trey introduces David Bowie, which an audience member recognizes. A clean version of Bowie, it's evident that the band has practiced the changes since its last outing. It's amazing that this version could probably be interchanged (with better audio and equipment) with a modern day version and the structure and jam are near identical (save for the ending arpeggios). A standard Dear Mrs. Reagan is followed by a very nice Slave with a beautiful build and little Trey solo. A short Phish set, but really the only thing particularly noteworthy here is the long version of Hydrogen (if you haven't heard it) and the absolute weirdness of Punch Me In the Eye. Another interesting early performance to hear with the old intro to Bag, the old arrangement to Fluff, and the only Punch Me! The jam out of Hydrogen reminded me of a section of the "With" and then the eventual Fluff parts of Who Do We Do was great to hear as a devoloping piece of music. I didn't think Bowie was that tight in parts, but good overall. Mrs. Reagan was fun to hear and Slave was pretty short, but solid. I'm only bumping this up to three stars for the Punch Me in the Eye!